If the RCA Corp. had made different decisions in the 1970s, the name Joe Weisbecker could be as revered as Steve Wozniak’s is today. Weisbecker was the architect of the RCA CDP 1802 microprocessor, also known as the Cosmac. Part of what made the 1802 special was that it was explicitly designed to broadly democratize computing as part of a home computer system, deliberately trading some features and performance for low cost and flexibility. And although it lost the mass-market home computer opportunity, the 1802—still in limited production—found its way into all sorts of places, from concert halls to the outer solar system. By 1970, many people had realized that fitting more and more transistors on a chip was going to have a big impact on computing. 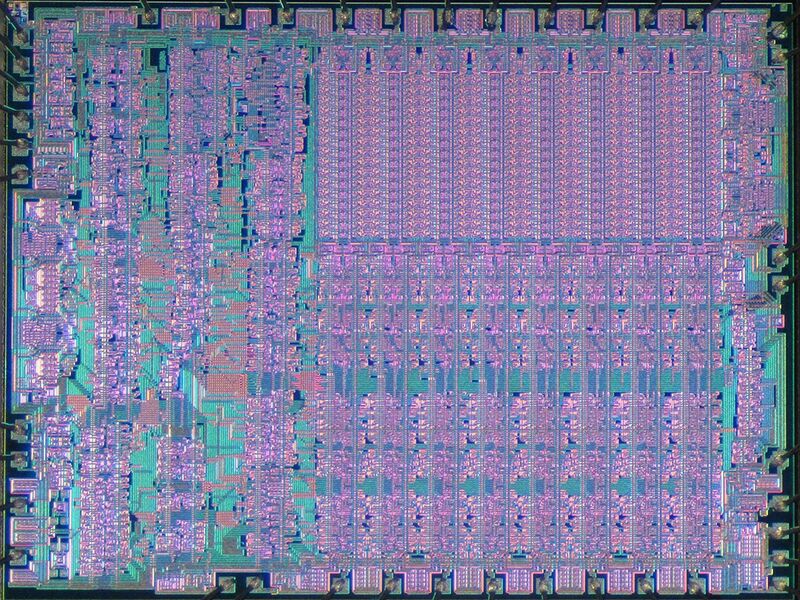 But the conventional industry wisdom was that this was going to play out in two ways: There would be relatively low-end processors embedded in things like calculators or industrial equipment, and there would be chips in high-performance minicomputers and mainframes at universities and corporations. By October 1971, Weisbecker had built a fully functional prototype processor out of 100 discrete logic chips. With his children as a test group, he used his prototype to explore the potential of a home computer. In a follow-up Computer article in August 1974, Weisbecker used this experience to accurately predict the home-computer scene that would form a big part of the zeitgeist in the 1980s: “A computer of this type could have major social value.… One can easily imagine the formation of a whole new group of computer hobbyists, complete with user groups and the publications for the exchange of programs and ideas. In short, the inexpensive home/school computer could open the door to an entirely new environment that stimulates experimentation, analysis, and creativity…. A system of this type would, for the first time, permit widespread access to computers.” This was three years before the debut of the Apple II. The 1802 was also known as the Cosmac. Originally designed for home computers, a radiation-hardened version was used to control satellites and space probes. Weisbecker’s prototype was enough to convince RCA to turn his processor design into dedicated silicon, initially in the form of two chips. The 1801U and the 1801R were commercially released in 1975. A year later, the 1802 debuted, combining the two previous chips into one. This was the first processor to be made using complementary metal-oxide semiconductor, or CMOS technology, a more advanced version of the MOS technology used to make chips such as the Intel 4004. Today, CMOS is the dominant way to make processors because it uses little power compared with competing transistor technologies. Following up on his initial vision, Weisbecker built a demonstration home computer powered by the 1802 called FRED, for Flexible Recreational and Educational Device, and by 1974 he had already written numerous games and educational programs for it. FRED could read programs stored on audiotape via a home cassette player, and it could use a television set as a bit-mapped display. Unfortunately, RCA was not the company it had been. For decades RCA had prospered under the leadership of David Sarnoff, who combined good business sense with a deep understanding of technology and how it might be applied to new niches. But Sarnoff retired from RCA in 1970, and his son Robert took the reins. As described by some of the folks who worked on the 1802 at an oral history panel hosted by the Computer History Musuem, Robert Sarnoff did not have his father’s impeccable taste in tech, and RCA began to flounder, more interested in making licensing deals than developing new markets [PDF]. Consequently, it wasn’t until January 1977 that RCA released the Studio II, a commercial version of the FRED that used cartridges to store games and other programs. But the rest of the computer and video-game industry had not been idle, and so the Studio II—a product that would have been groundbreaking 12 or 18 months earlier—was ho-hum the day it launched and was utterly eclipsed by the Atari VCS a few months later. However, a few quirks of the 1802’s design, and one clever PR move by Weisbecker, gave the 1802 life beyond the failed Studio II. One of the reasons for the 1802’s popularity with hobbyists was that its design made it easy to expand a system or interface it with the outside world. Typical processor designs require supporting hardware and multiple machine-code instructions to utilize inputs and outputs. But in addition to a typical input/output setup, four pins on the 1802 act as direct digital inputs, and with just a single machine-code instruction, a program can check the state of one of these pins and act on the result. Another pin functions as a one-bit output that can also be controlled with a single machine-code instruction. A one-bit output may not seem like much, but it allows for serial communications and the control of all sorts of gadgets. Perhaps most interestingly, as Weisbecker pointed out in his Popular Electronics articles, carefully crafted timing loops could precisely control the frequency at which the output bit’s voltage changed from one state to another, producing a square wave at audible frequencies. This meant the output bit could be connected to a loudspeaker and musical tones would emerge. (Alan Turing used a similar technique to create the world’s first computer-generated musical notes back in 1957.) The 1802 became a vital part of the computer-generated music scene: At the First Philadelphia Computer Musical Festival in August 1978, about a third of the pieces used the 1802 as a synthesizer, albeit using more sophisticated sound hardware (also designed by Weisbecker) than a simple speaker. Another aspect of the 1802 made it popular among aerospace designers. It was available in a version resistant to radiation [PDF], making it ideal for the harsh environment of space. Six 1802s were used as the brains of the Galileo probe, which launched in 1989 (a year before Weisbecker passed away) and orbited Jupiter between 1995 and 2003. Its proven reliability means the 1802 is still made for some mission-critical applications, although new chips are pricey and hard to get: about $146 each for an order of 1,000 chips, with a five-month lead time. But if you feel like playing around with one, you can get old 1802s on eBay for a few dollars apiece, or play with a virtual re-creation of an Elf: Just as Weisbecker predicted, there’s (still) an active user group of 1802 computer hobbyists, swapping ideas and programs online.